The financial crisis and the ensuing Great Recession alerted those seeking to protect old-age security, about the extreme risks confronting the financial and political institutions comprising our retirement system. The workforce of today and tomorrow must count on longer lives and deferred retirement, while at the same time it is taking on increased responsibility for managing retirement risk. This volume explores new ways to think about, manage, and finance longevity risk, capital market risk, model risk, and regulatory risk. This book offers an in-depth analysis of the ‘black swans’ that threaten private and public pensions around the world such as capital market shocks, surprises to longevity, regulatory/political risk, and errors in modelling, which will all have profound consequences for stakeholders ranging from pension plan participants, plan sponsors, policymakers, and those who seek to make retirement more resistant. 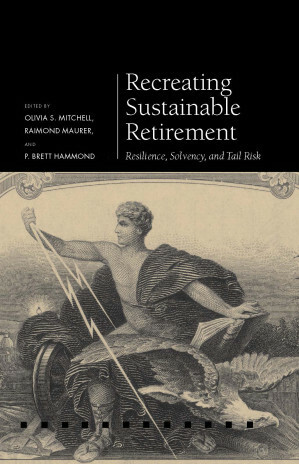 This book analyzes such challenges to retirement sustainability, and it explores ways to better manage and finance them. Insights provided help build retirement systems capable of withstanding what the future will bring.